I'm still deep in the throes of uni doom, but thought I'd share a couple of fun lists some readers sent me. 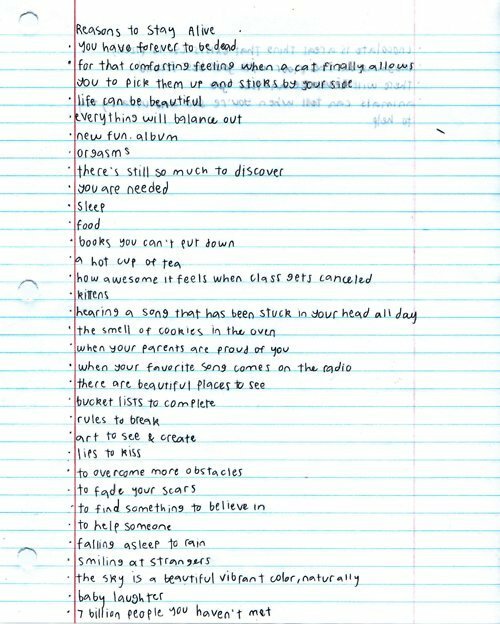 + Above is a list I came across via Tumblr and really liked, it's Matthew Gubler's 'Reasons To Stay Alive'. Want to send me a list? I'll put a couple more up on my blog in the next few days.